If this is the same guy, he has lost some weight and matured a bit. 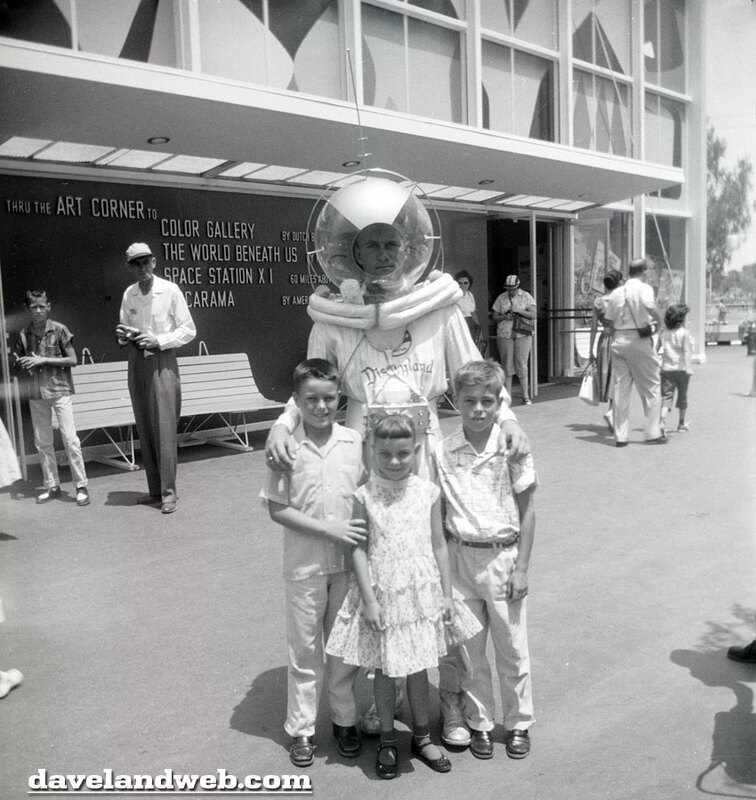 Either way, at this point in Tomorrowland history, the spacesuit shows some modifications. 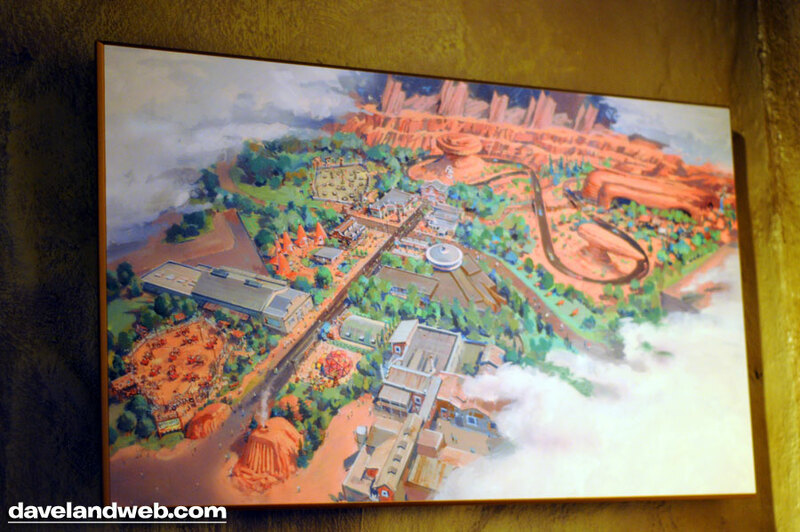 Tomorrowland of today receives constant criticism; is it really Disney’s fault? 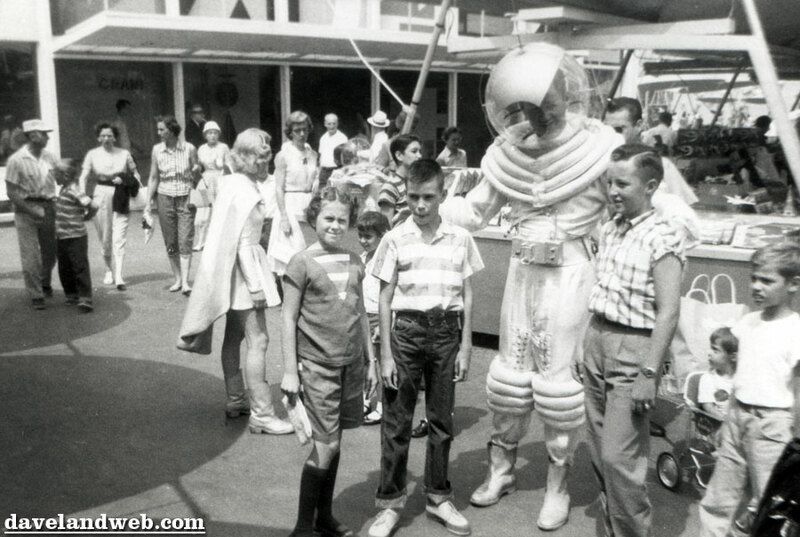 I was hard pressed to think of something today that would inspire the youth of today like the Space Program inspired my generation back in the 1960’s. 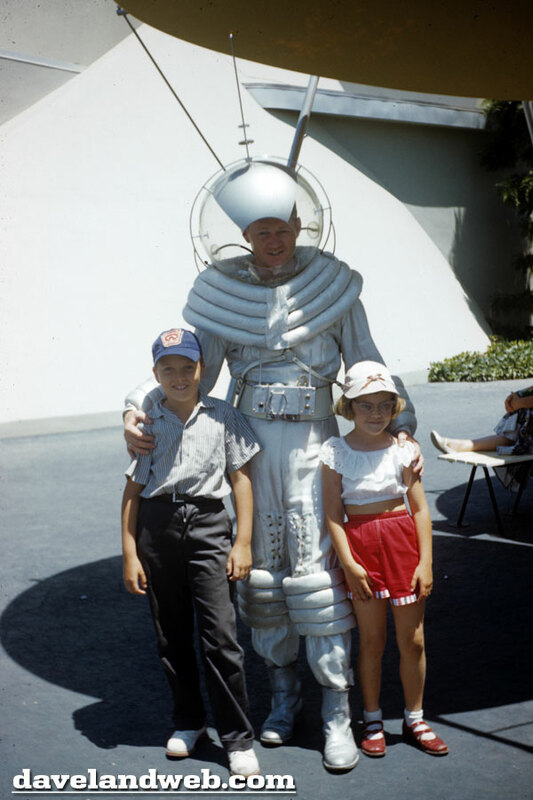 View more vintage Tomorrowland Spaceman photos on my regular website. 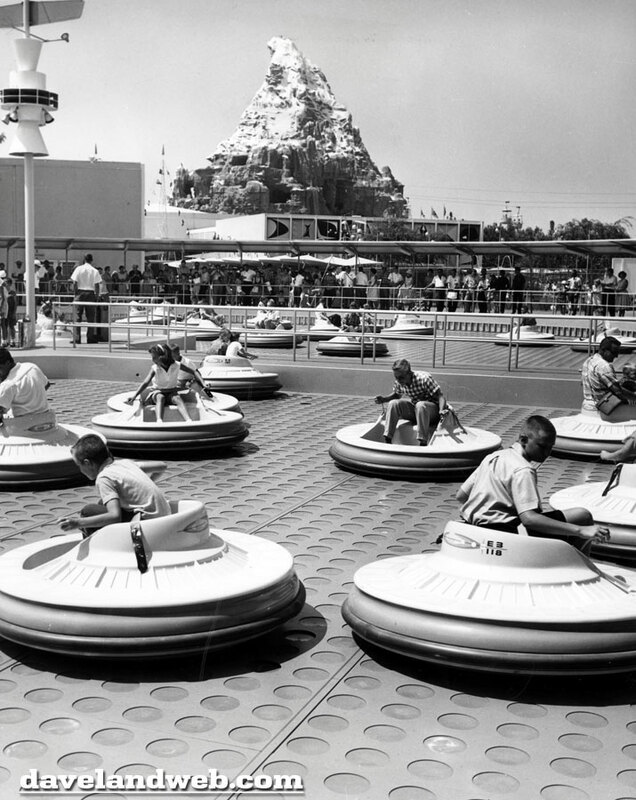 This photo displays a possible reason of why the Flying Saucers didn’t make it at Disneyland: low ridership! The biggest reason was the faulty mechanics and inability to get them to work consistently. Hopefully the “bugs” of yesteryear will be worked out so that Luigi’s Flying Tires in Disney California Adventure’s Radiator Springs can be a hit. 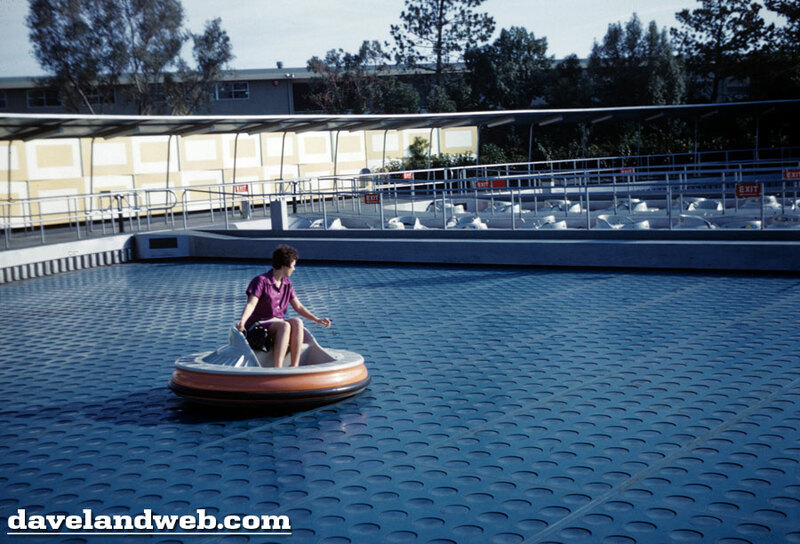 View more vintage Flying Saucer photos on my regular website. 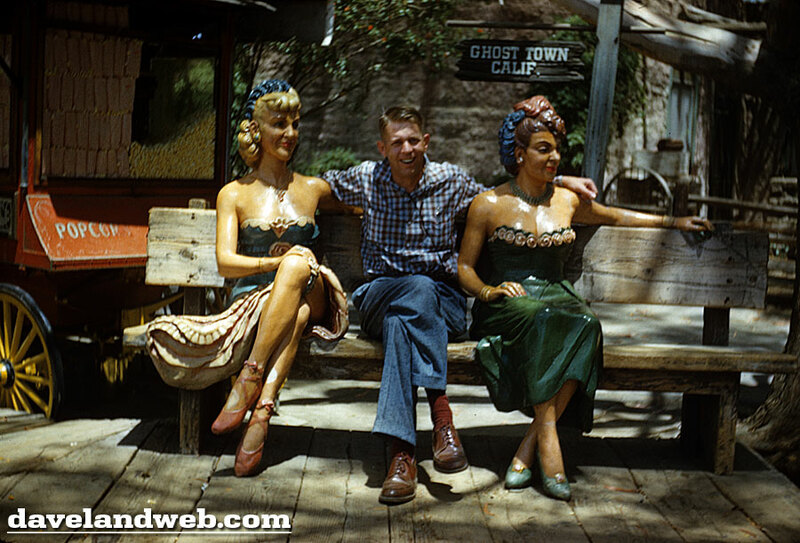 That durn Chris Merritt; him and his fantastic book on Knott’s Berry Farm actually has me checking out vintage views of the park! 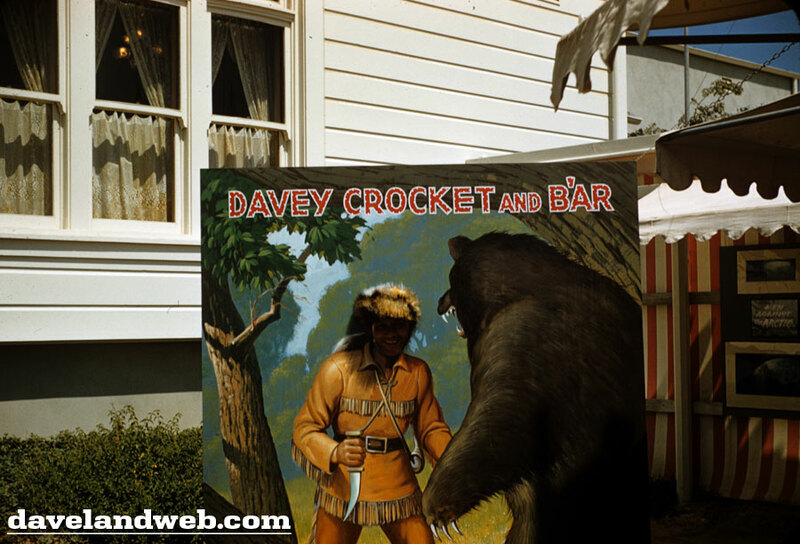 Here is a nice selection of four shots from May 1960, back when Knott’s was a restaurant that had a little bit of homespun entertainment on the side. 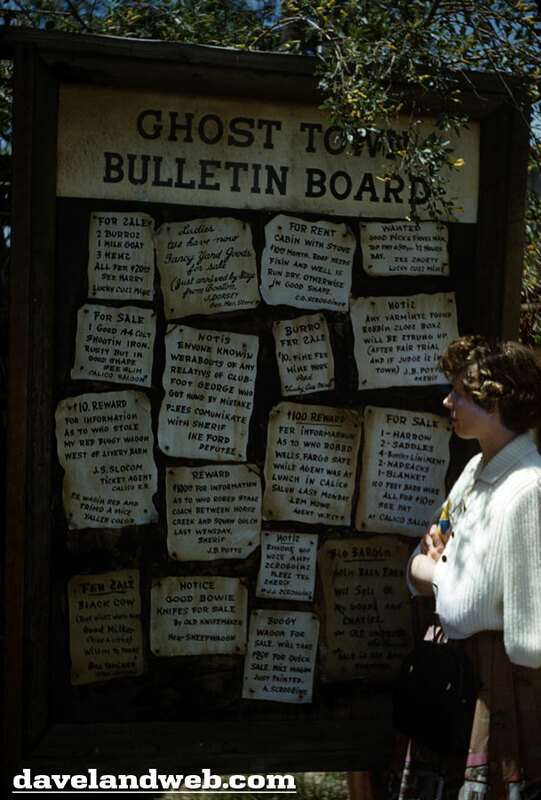 These fun little notices from Ghost Town helped pass the time while patrons waited for the lines to die down at Cordelia’s Restaurant. 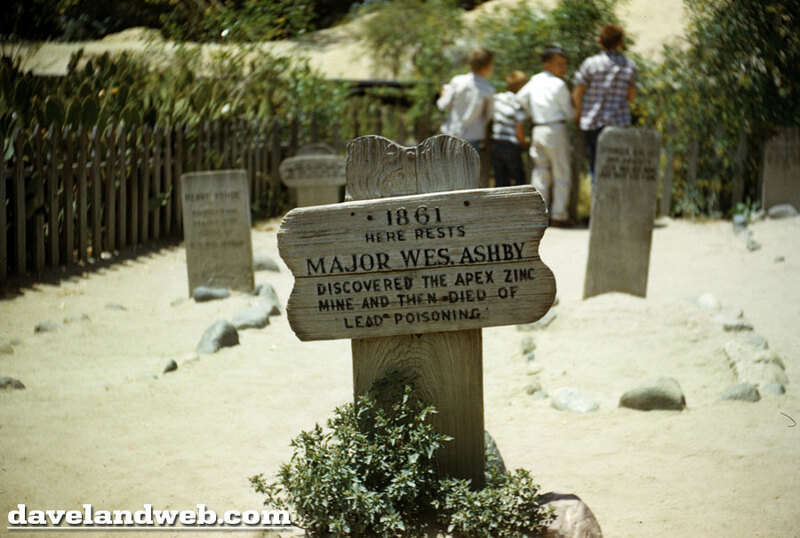 This uncluttered view of Boot Hill Cemetery cannot be duplicated today, as all kinds of crazy rollercoasters and other newfangled contraptions detract from the scenery. 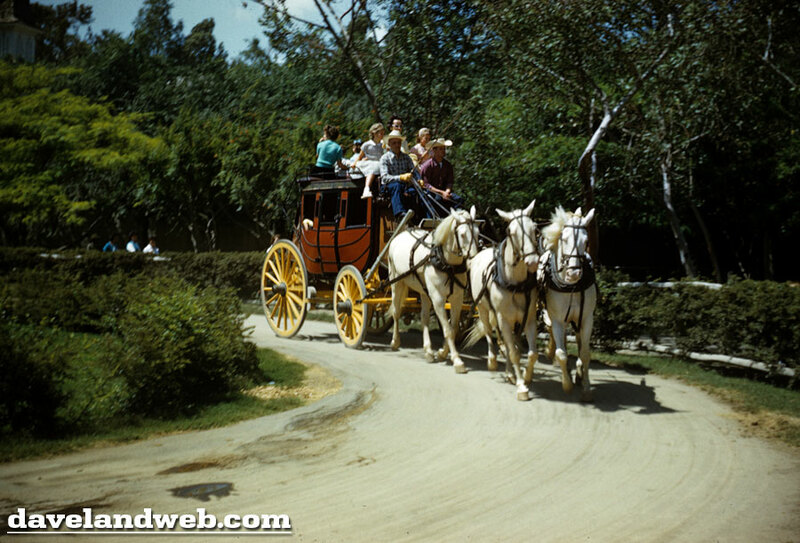 View more vintage and current Knott’s Berry Farm photos on my regular website. 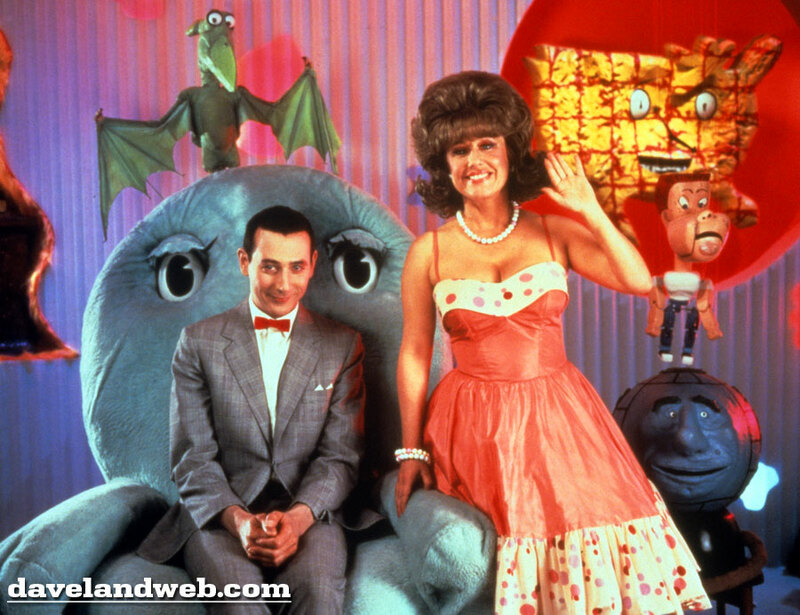 Crack your jokes and say what you will about Paul Reubens, but his Saturday morning series, “Pee Wee’s Playhouse,” was one of the most creative shows on Television. Ever. 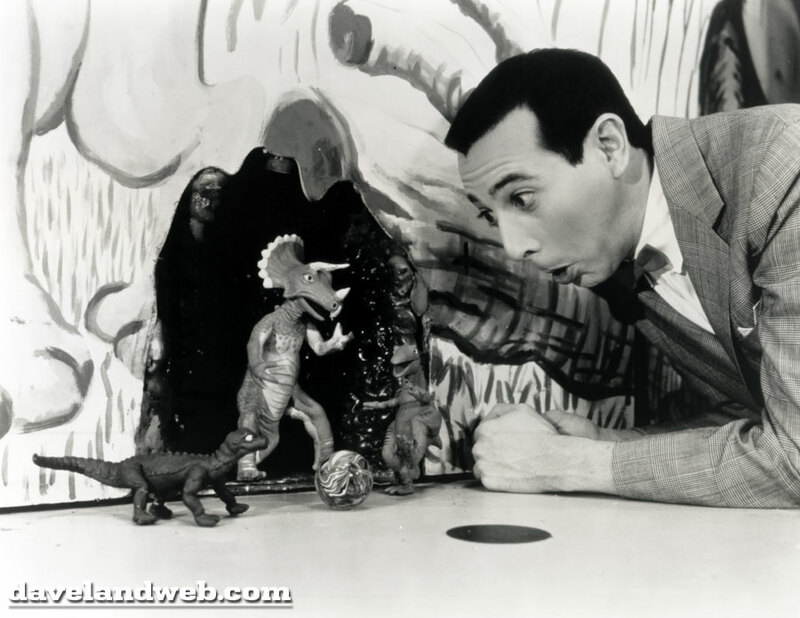 1986–1990, Reubens put on his gray suit and red bow tie and kept the kiddies entertained with his crazy behavior, wacky friends, and imagination-provoking activities. Miss Yvonne, the most beautiful lady in Puppetland, was one of my favorite characters. What a nut she was. And her clog dance drove men wild. I mean wild. 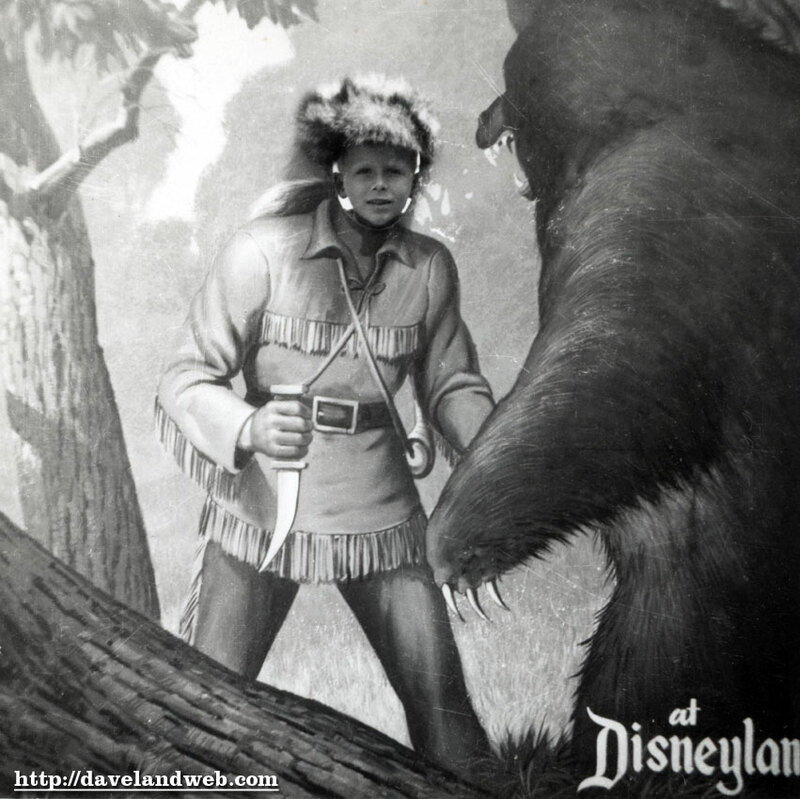 That was the beauty of this show; although designed for children, the innuendos kept adults happy, too. Anybody care for a delicious breakfast? 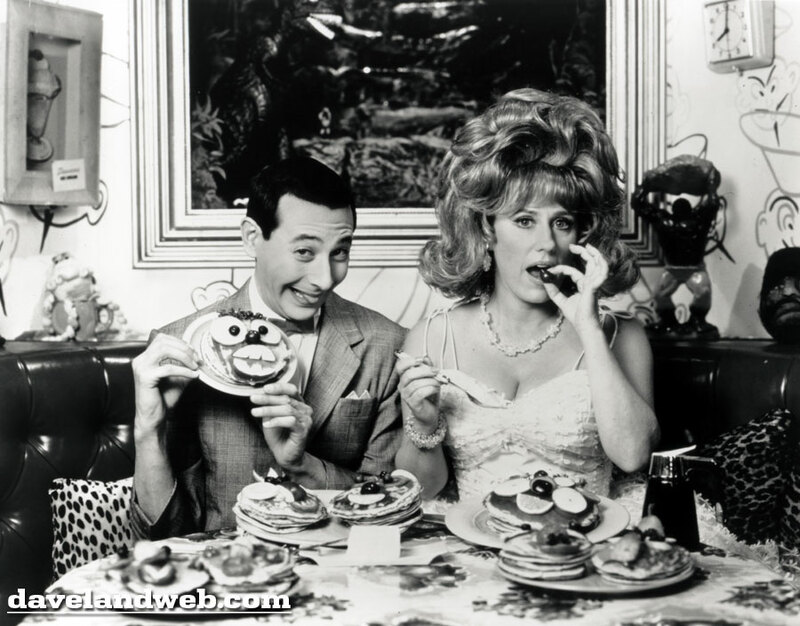 Pee Wee gave children plenty of way-fun recipes to cook. The claymation shorts were a hit, too; especially the Dinosaurs and the ADD-inspired Penny Cartoons. 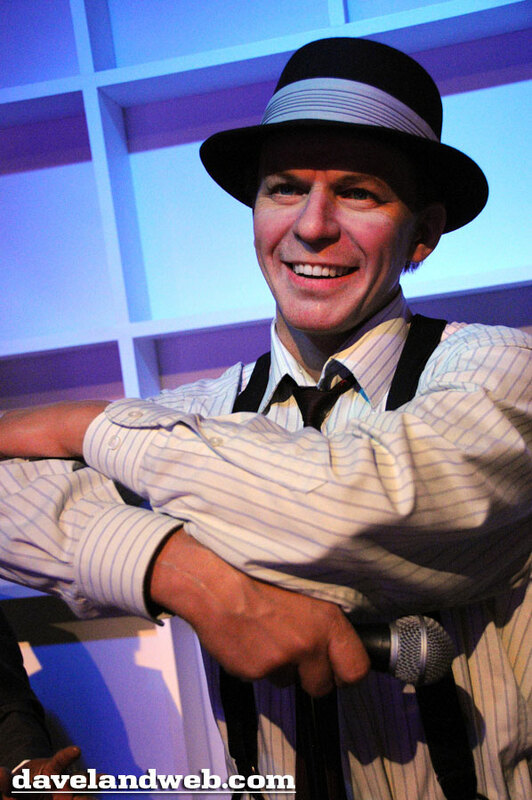 So naturally, as soon as it was announced that Reubens was resurrecting his TV show live onstage in Hollywood, I had to get tickets—clog on girl! 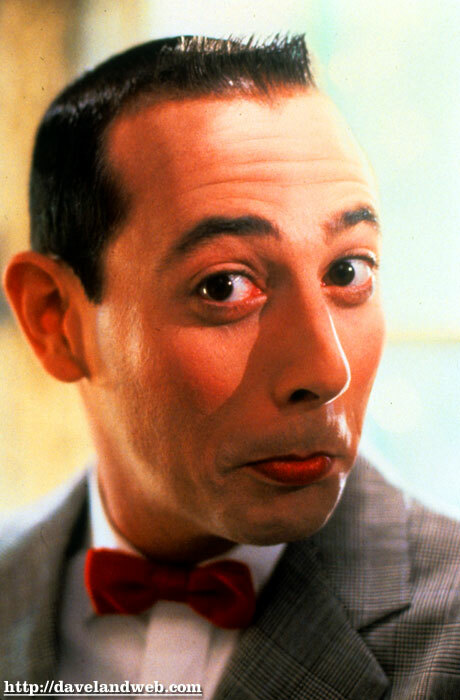 To see more Pee Wee Herman photos, visit my regular website. 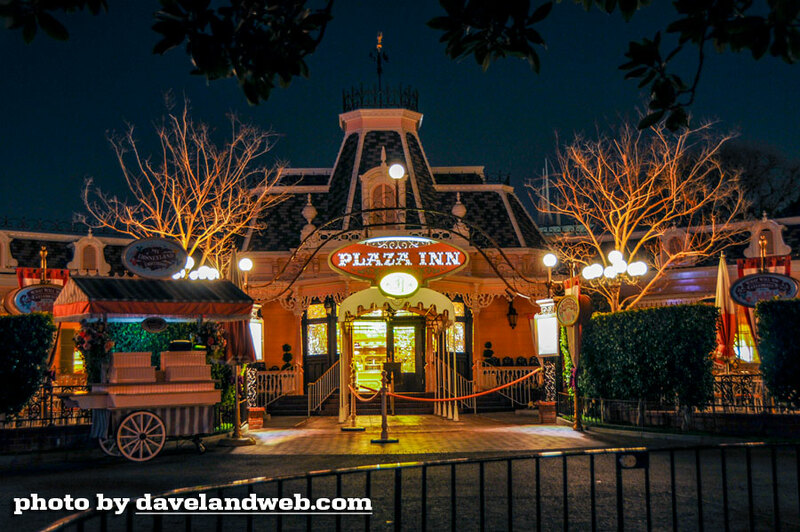 The Plaza Inn: A Disneyland Classic! 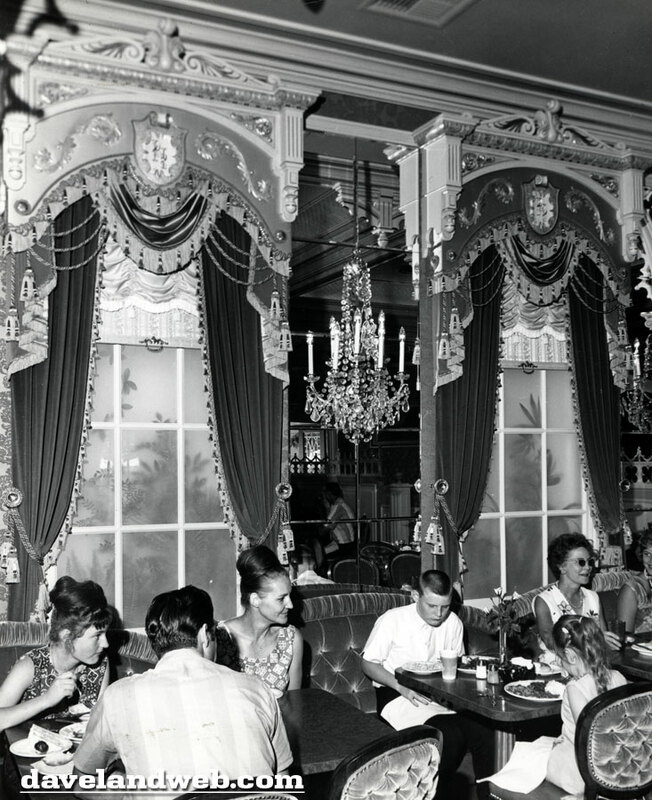 Anyone who has suffered through a trip to the park with me knows that The Plaza Inn is one of my favorite restaurants there. Its fried chicken and caramel apple pie call to me like the song of the siren each time I stroll by. 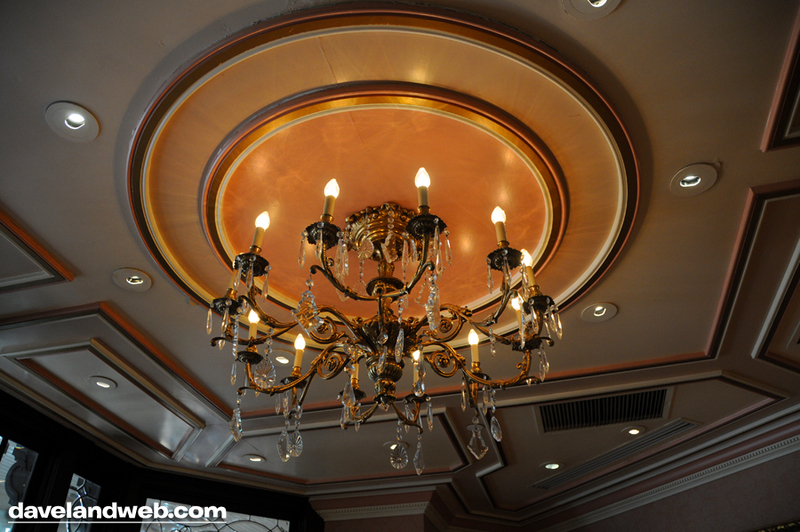 Originally called the Red Wagon Inn, it was renamed in 1965 and became the restaurant that we all know today. 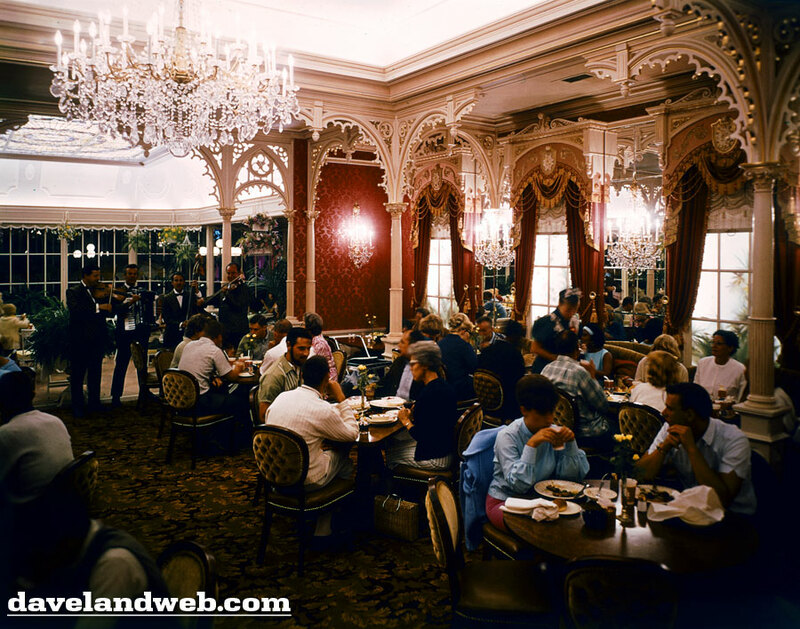 Photo number one today is a heavily retouched shot of Walt, sitting inside the Plaza Inn, 1966. 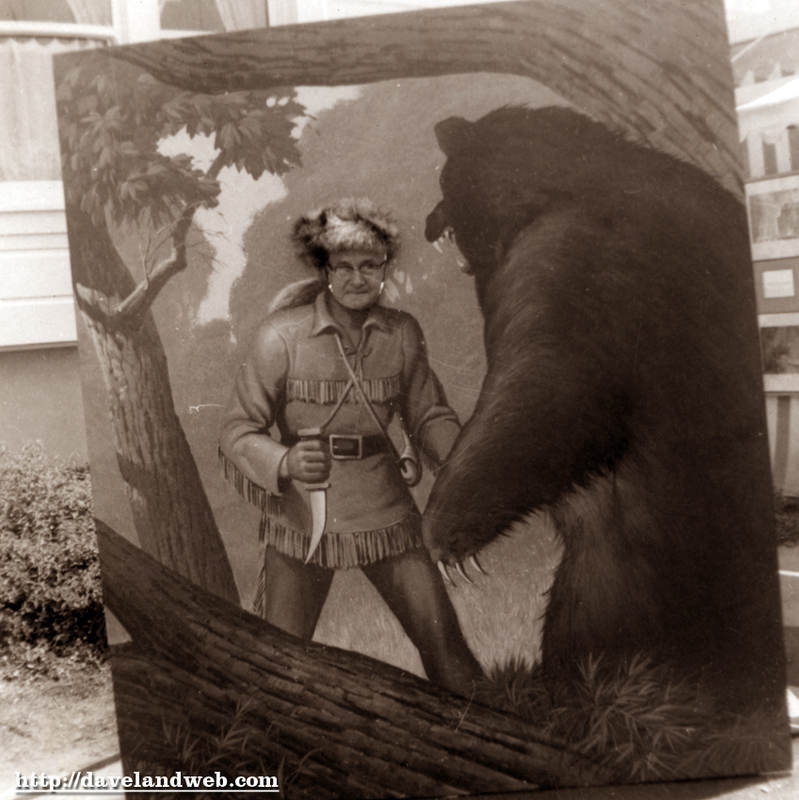 Back before photoshop, newspapers would have to handpaint or airbrush photos before publication to eliminate flaws and to bump up the contrast to improve their look on newsprint. 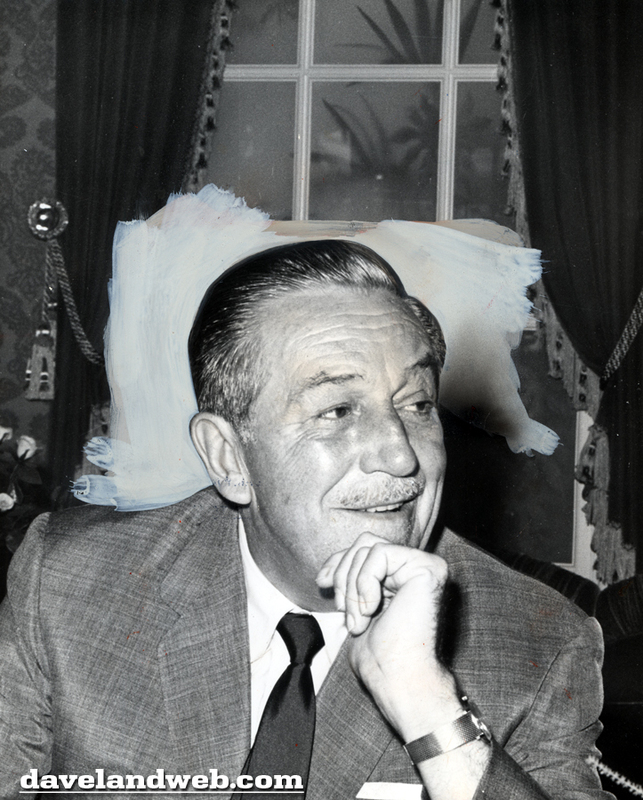 Retouched or not, Walt still looks mighty pleased to be there. 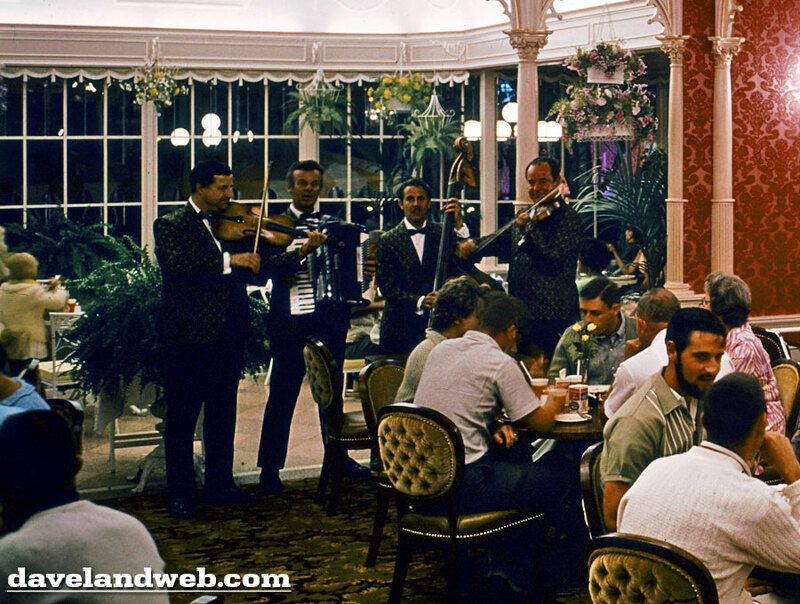 This 1960’s interior view shows guests being entertained by live music and attended to by a cast member dressed in era-appropriate garb. 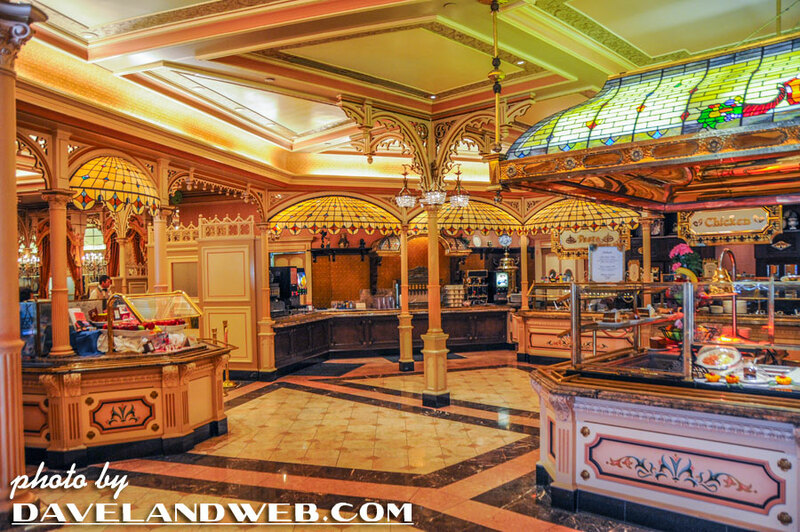 View more vintage and current Plaza Inn photos on my regular website. 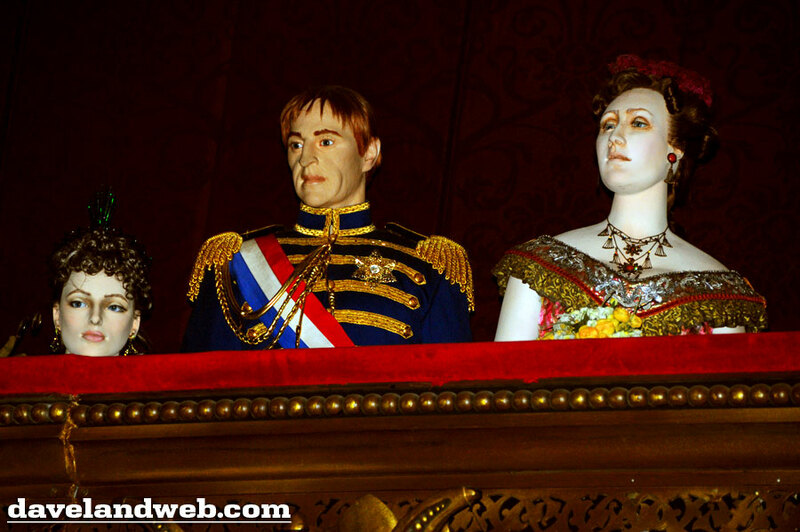 Over at the Venetian Hotel in Las Vegas, Phantom of the Opera and Madame Tussaud’s Wax Museum are two of the major attractions for visitors to Las Vegas. 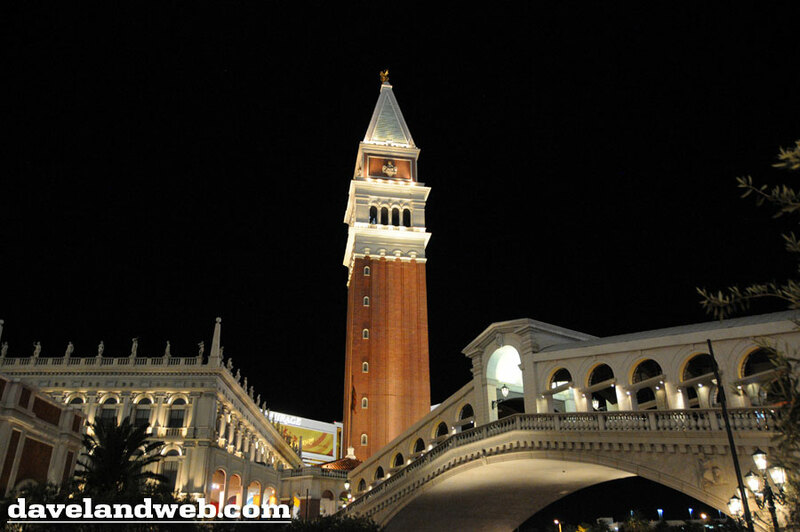 Like Disneyland, Vegas has a total different look at night when the sun goes down and the magical lights turn on. 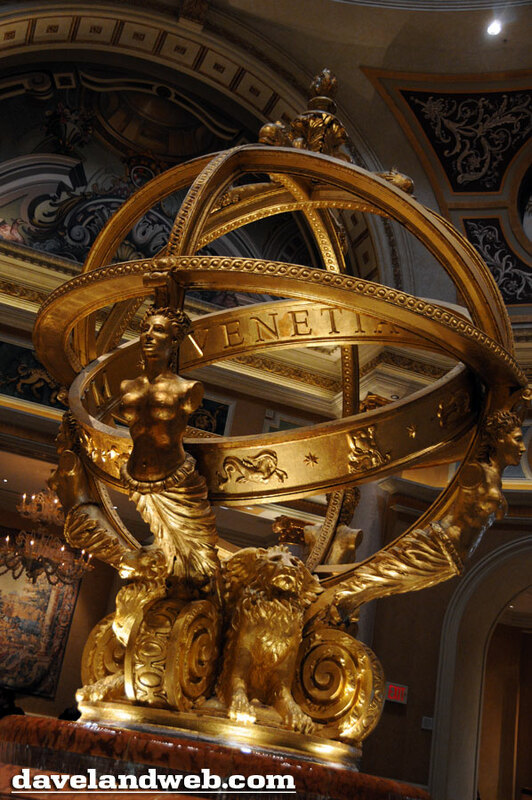 The interior of The Venetian is richly detailed and slightly over the top; just what you would expect when Italy and Las Vegas collide. 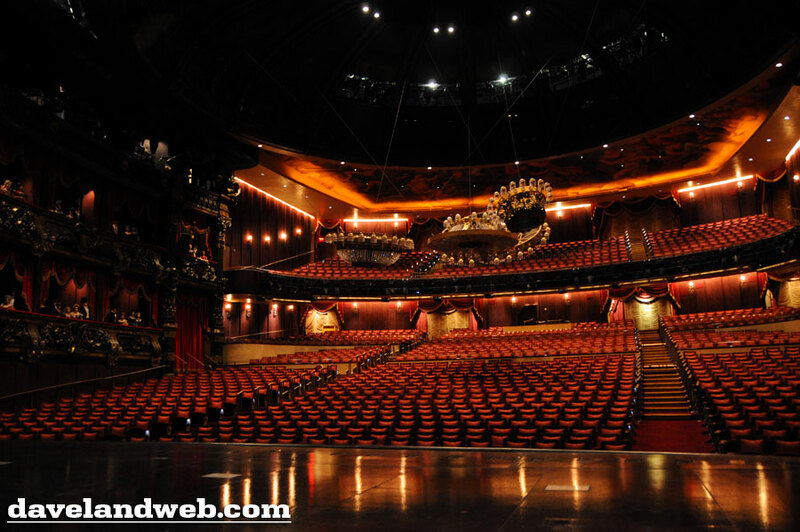 I’ve seen “Phantom of the Opera” on Broadway, but even that amazing production is outdone by the Las Vegas version. The music, the sets, and the moving story still brought chills the second time that I watched the show. 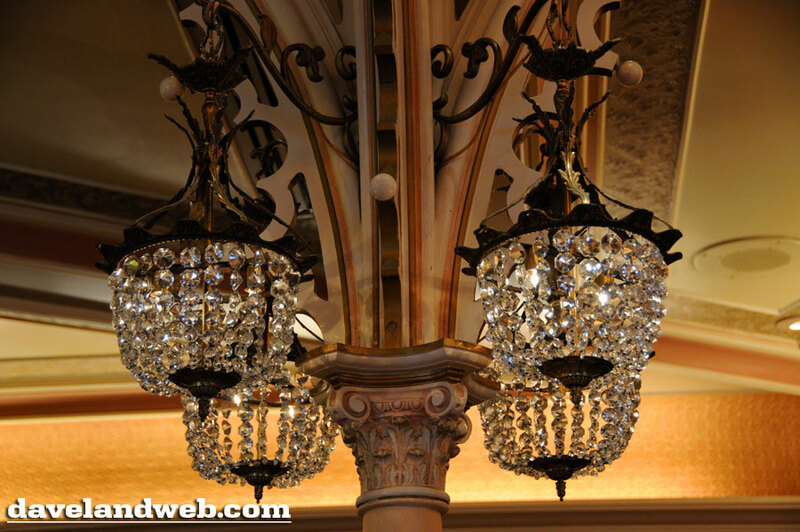 If you’ve seen the movie, please don’t let that deter you from seeing the theater production! 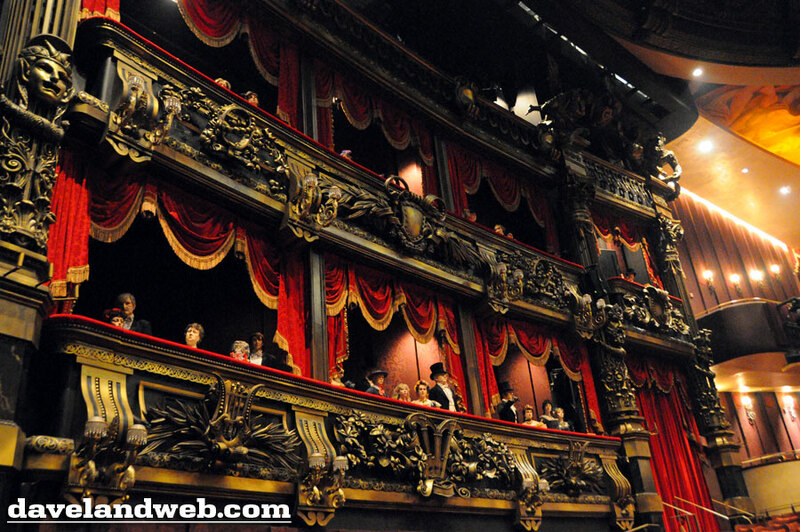 Even the theater itself will cause your jaw to drop; decked out like a vintage playhouse, “dummies” populate the sideseat, dressed in historic era-appropriate clothing. 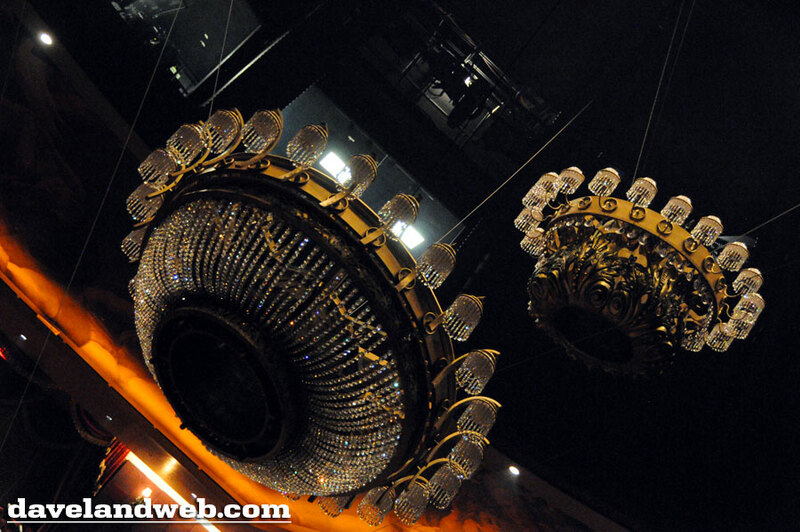 Falling overhead at a speed of 35 mph, this combined set of 4 chandeliers would be enough to cause even the bravest theatergoer to invest in a set of Depends! 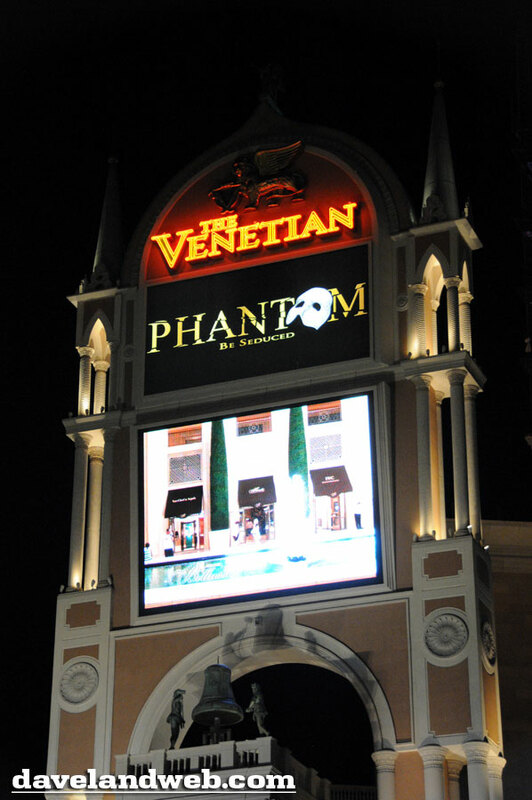 For the Las Vegas production, even the Phantom’s makeup was revisited. 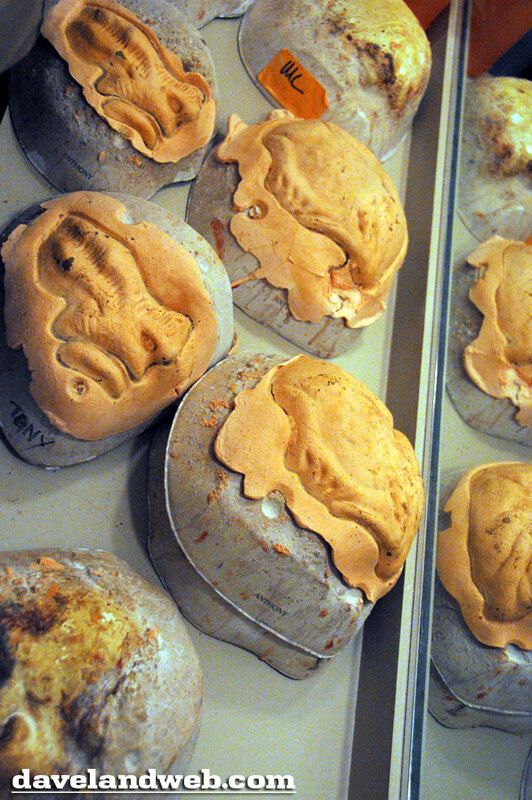 With a new set of facial molds, the final result is stunning, as shown here by The Phantom himself, Anthony Crivello. 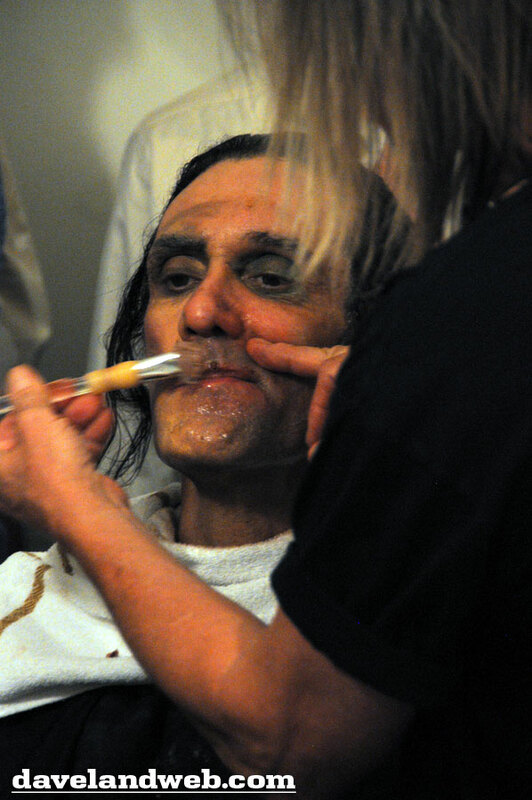 Discussing the new molds, Crivello is having the final remnants of his Phantom “face” removed before he goes home after his performance. 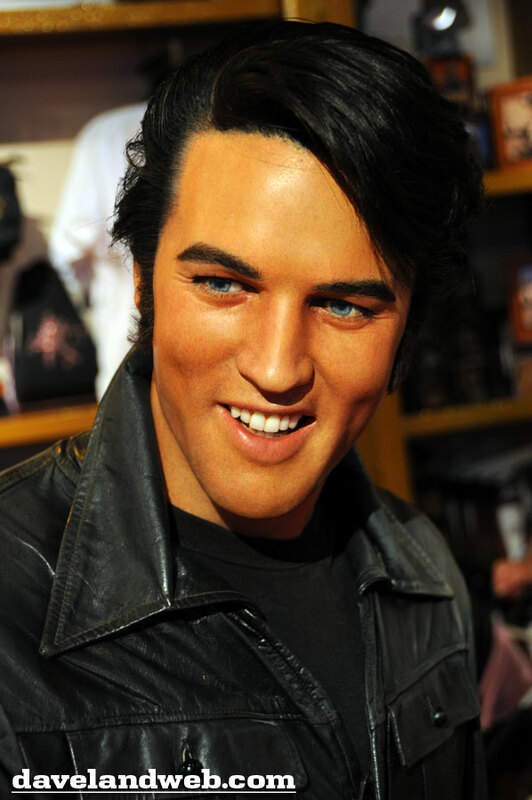 Over at Madame Tussaud’s, you can see two versions of Elvis; young and handsome, or older and slightly paunchy. Take your pick! 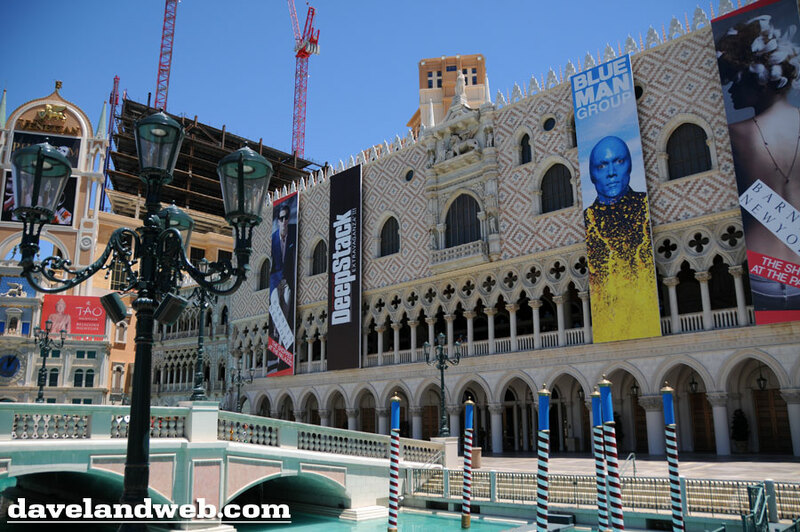 Apparently Criss Angel is one of the most reviled people in Las Vegas; Cirque du Soleil is just waiting for his contract to expire so that they can remove their name from his show. 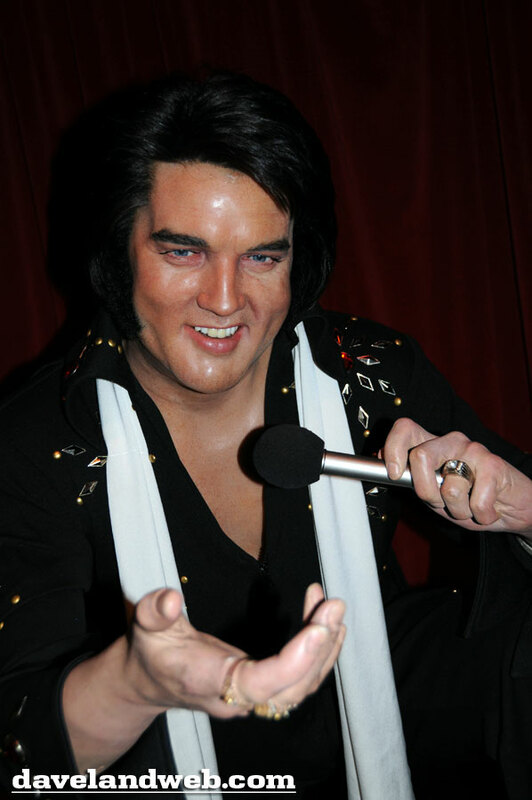 Still, he is one of the figures at Tussaud’s. 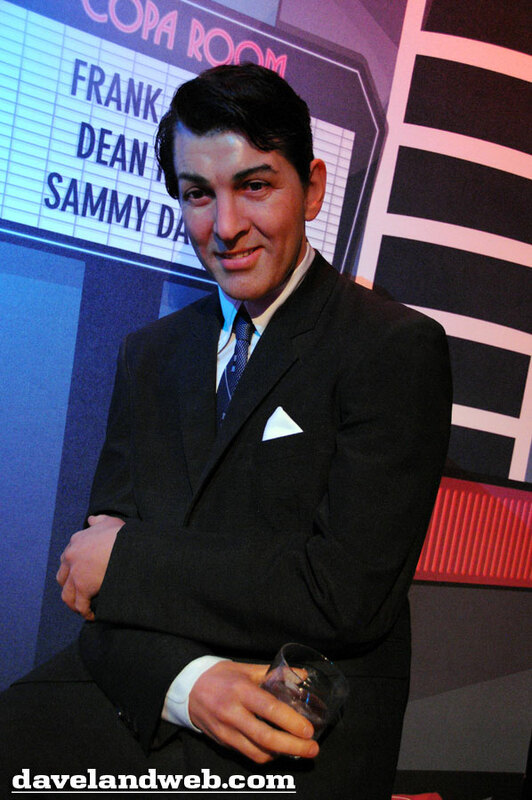 Who needs the egotistical Criss Angel when you can have the Rat Pack? 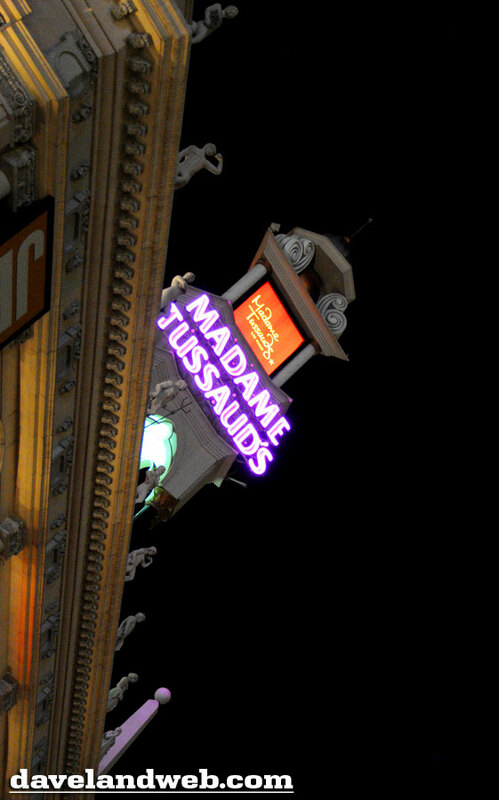 You haven’t heard the last from Sin City. More to come in the future! 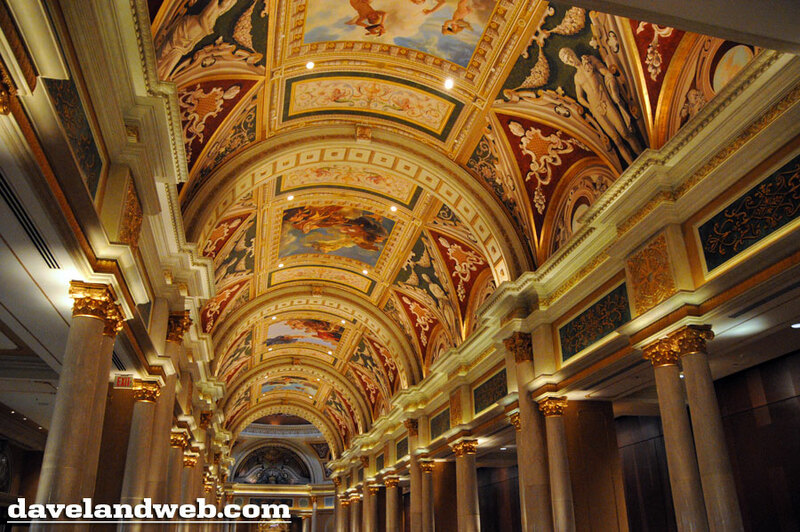 See more Las Vegas photos at my regular website. 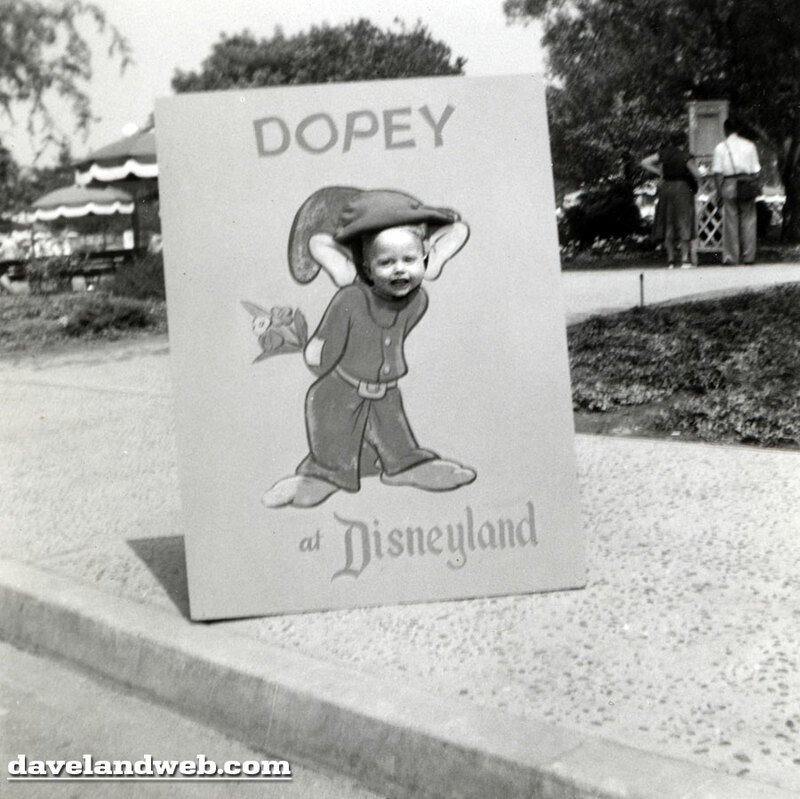 I recently acquired this shot of a Dopey cutout from Central Plaza’s Art Corner. 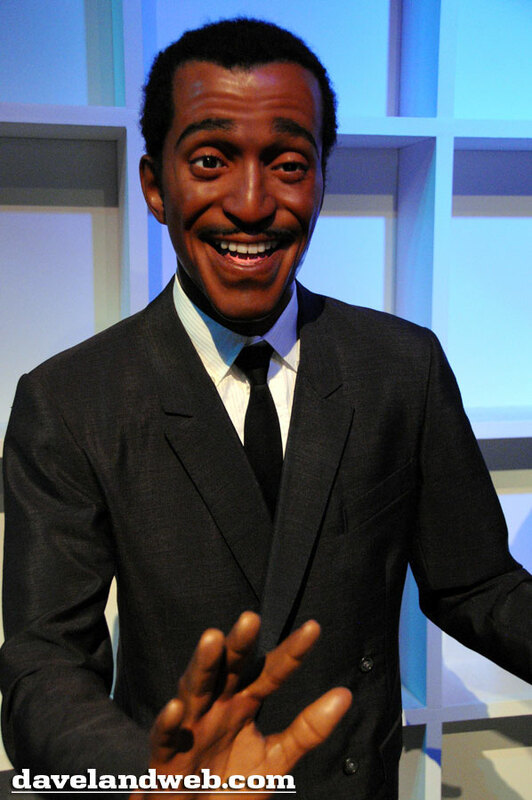 In this day of high-tech expectations, these cutouts might seem extremely primitive. 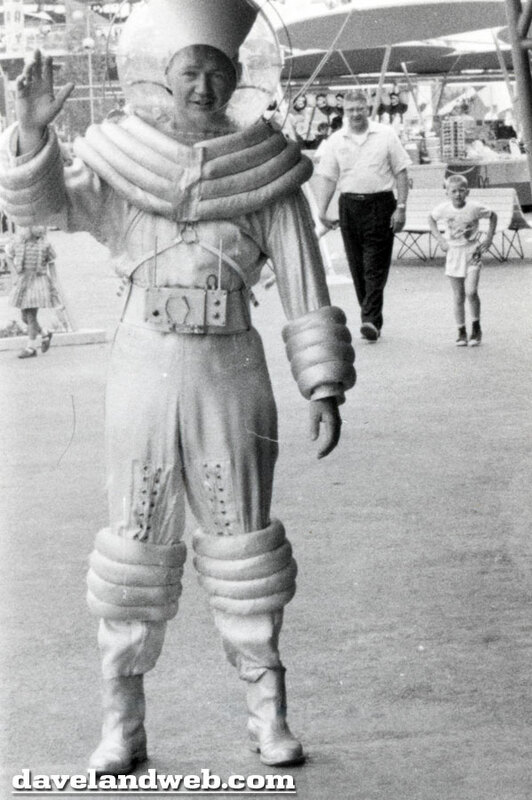 Personally, I think there will be a backlash and this type of vintage fun will come back into vogue. 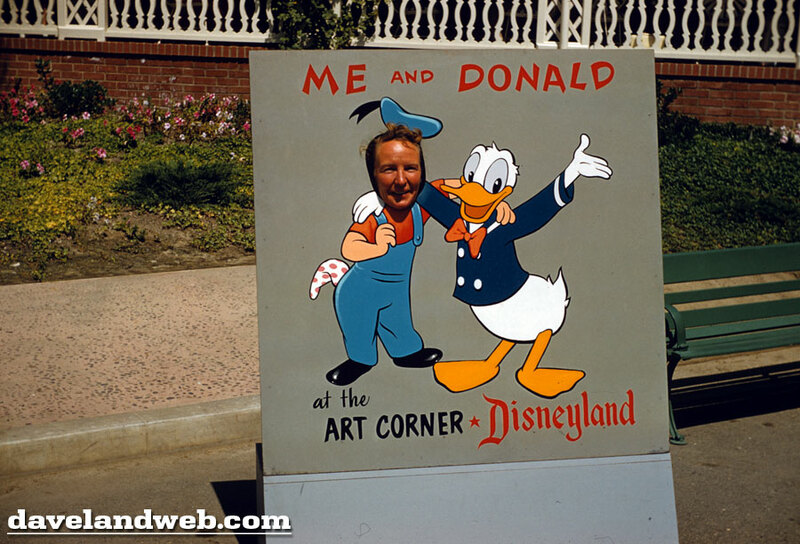 The rest of this post shows some of the other cutouts that guests could pose behind and have their photos taken at. 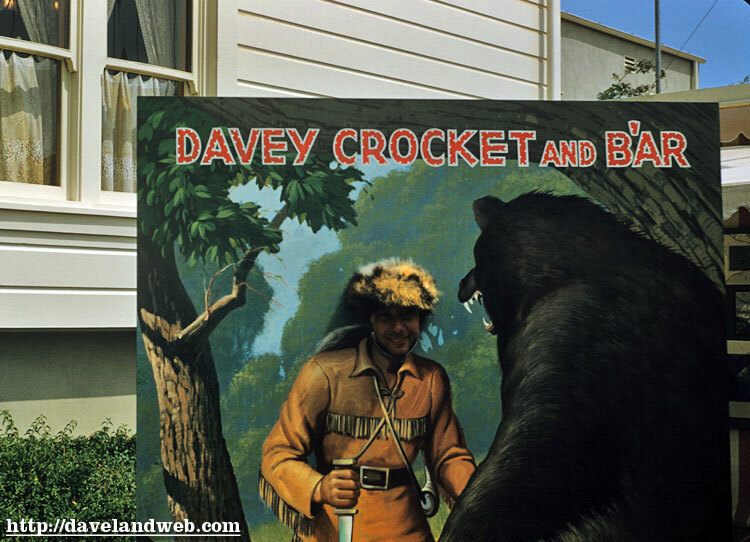 Davy Crockett (spelled “Davey” for the cutout) was probably one of the most famous. 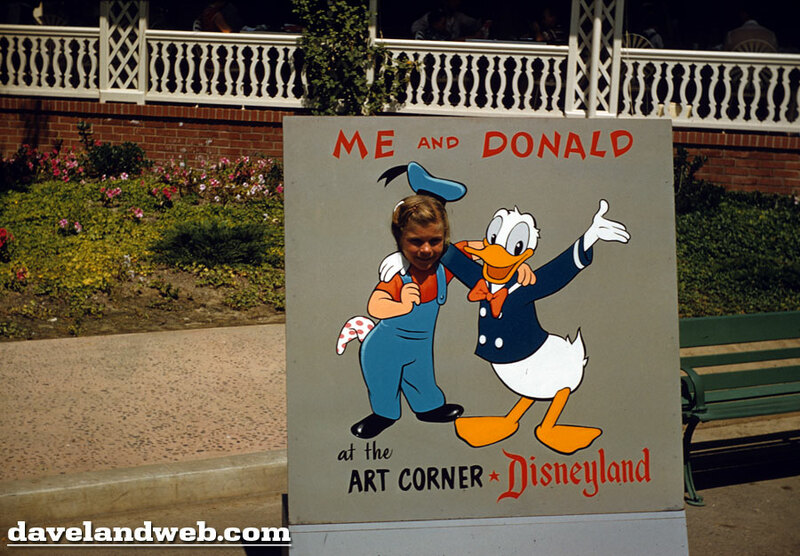 In the next five photos, you can see that even these cutouts experienced some changes over the short time that they sat near Central Plaza. 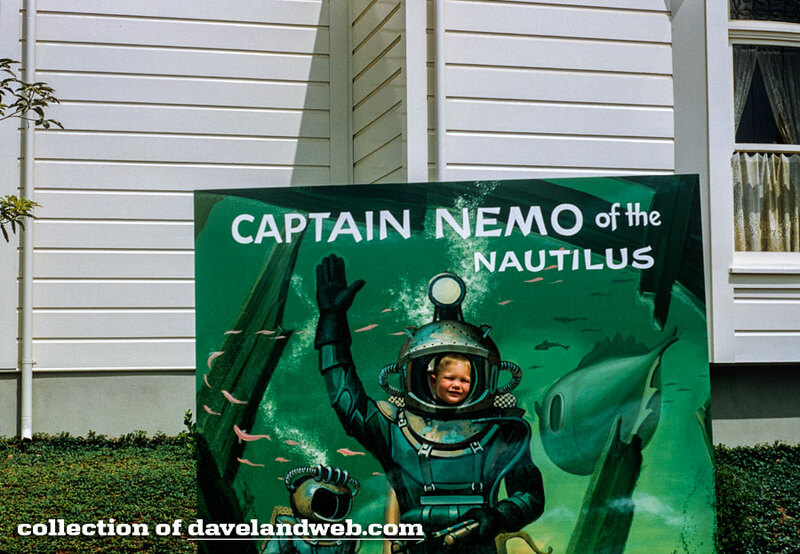 What little boy could pass up an opportunity to be Captain Nemo from the Nautilus of 20k? 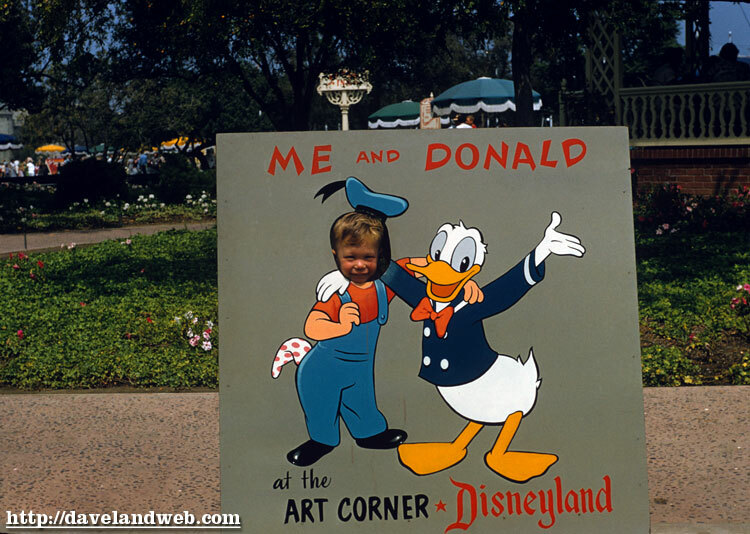 Donald Duck was popular, too, and in this particular cutout, he would lend his hat to guests for their souvenir photo. 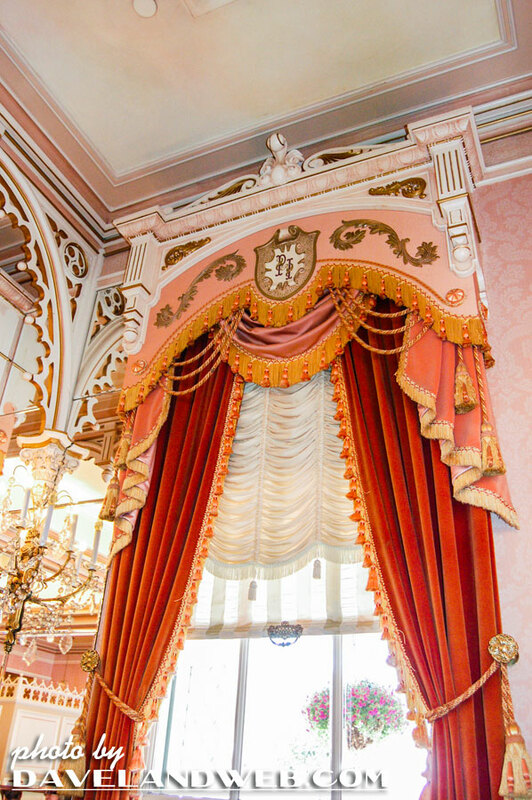 It doesn’t appear that there was a Disney sanctioned photographer at this station; rather, guests could take photos themselves. Free of charge. Huh...what a concept! 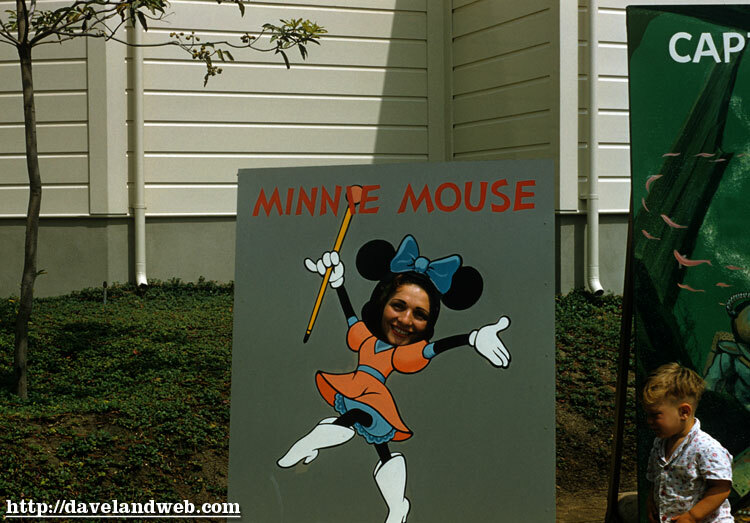 These cutouts appeared to have disappeared after 1956. 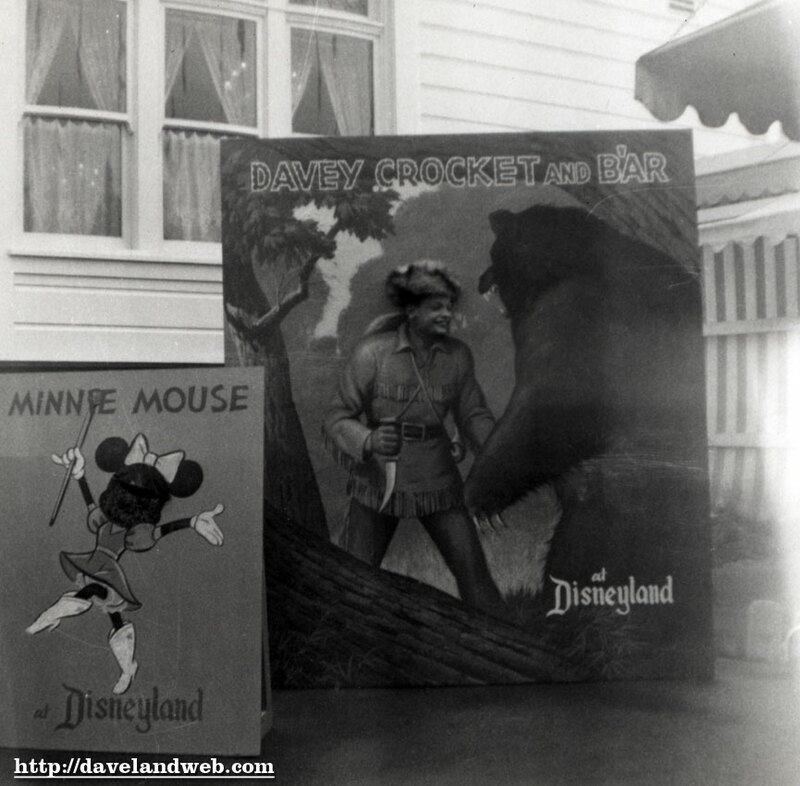 The Knott’s Pitchur Gallery still thrives today; perhaps something similar could do well if it were brought back to Main Street today. 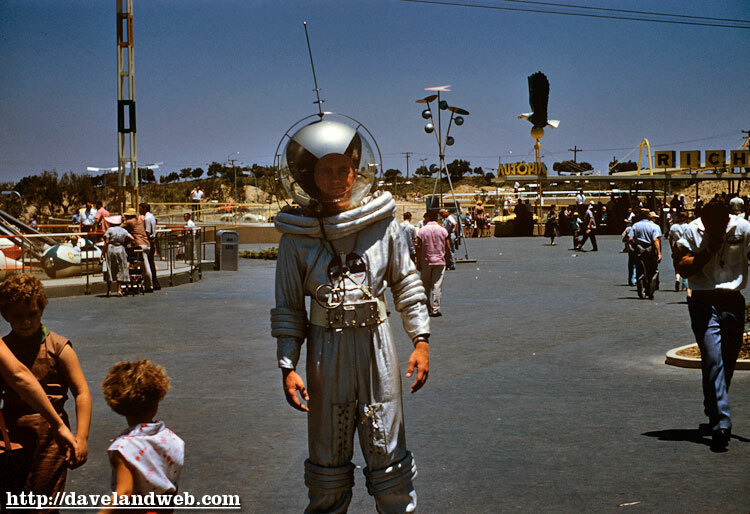 View more vintage and current Central Plaza photos on my regular website.